Decoding the wine-soaked narrative of a delightful boot-shaped place. So much of a wine’s success depends on its story. France, California, Germany. These are stories the wine industry can recite from memory. Whether the story arc is one of evolution or revolution, they’re market indicators, fodder for best-selling memoirs and the stuff of drunken Chinatown arguments. Those regions without a well-trod narrative mostly reside in the New World, where winemaking’s respective adolescence makes it difficult to consider any kind of fairy-tale conclusion quite yet. There’s one exception, though, and it’s a stark, decidedly Old World one: Italy. For a country with one of the oldest winemaking histories in the world and over half of the known grape varieties in existence, Italy’s story is awfully scattershot. It’s heralded as both the great value player (Campania! Puglia!) and the collector’s darling (Barolo! Brunello!). Super Tuscans are still very much a thing. Is Aglianico the next Cab Sauv? What’s up with Mt. Etna? Are $60 orange wines from Friuli really sustainable in the market? What, exactly, is going on? The answer might have more to do with the storytellers than the stories themselves. As a recent article in Punch points out, the ones crafting the narrative – adding the plot points, the conflict, the drama – are the importers, not the producers. Italy’s current cash flow situation means this is especially relevant; producers may motivate the machine, but trace back any serious shift in public perception and you will find an importer wielding a portfolio with some mighty clout. Importers are the default mouthpiece. With the power to bring a narrative thread to the relative disorder, importers are poised to define the country’s future. So who’s got a shot at the raconteur gig? In 2013, while still in the startup phase of importing Italian wines under his label, SelectioNaturel, Mollo was featured on Levi Dalton’s podcast, I’ll Drink to That. 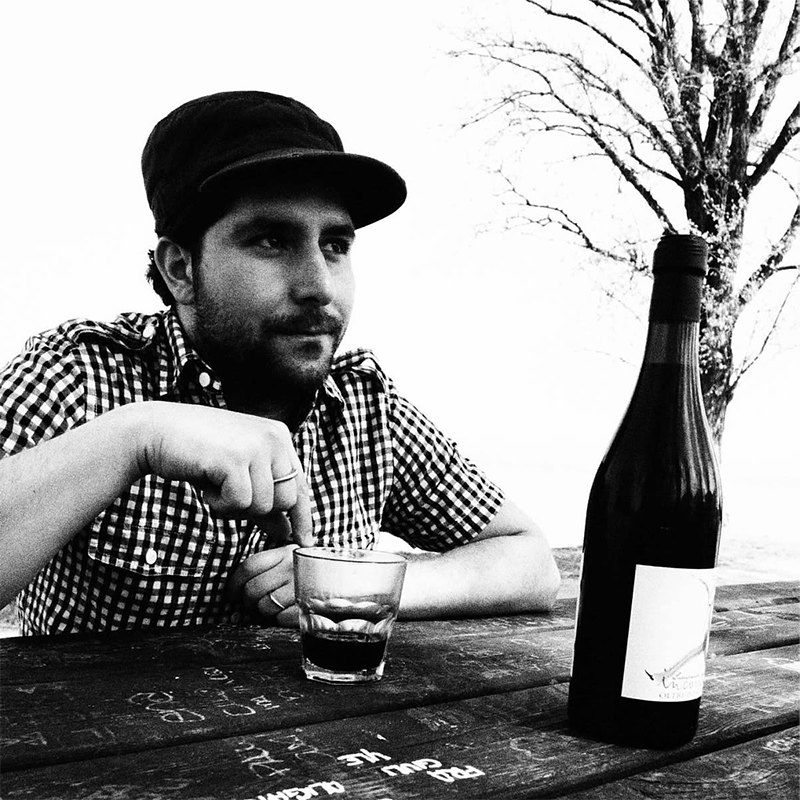 SelectioNaturel was the realization of a pipe dream he’d entertained since leading bike tours through the country’s winemaking regions after college – and one he had absolutely no real-life experience with. It was a producer who inspired Mollo to take a crack at the whole importing thing; a friend of a friend, a gregarious, hardworking, Sicilian guy. He was a solo act, shy, but chasing a grander vision for what he wanted to do. That producer was Filippo Rizzo of Lamoresca — whose naturally-made wines Mollo landed on the coveted list at New York City's Del Posto at the end of 2015. Landing a small-production, natural wine on a heavily traditionalist list with one of the deepest Barolo sections known to man is, well… it’s something. That portfolio is mostly full of what Mollo wants to drink; low in alcohol and heavy on the fizz. There’s bottle-fermented Prosecco, Lambrusco galore, and enough pét-nat from the Dolomites to make you wonder why the French get all the credit. There are also deeply rustic Umbrian influences, and a heck of a lot of near-extinct grapes. It’s a wonderland of Italian wine geekery. 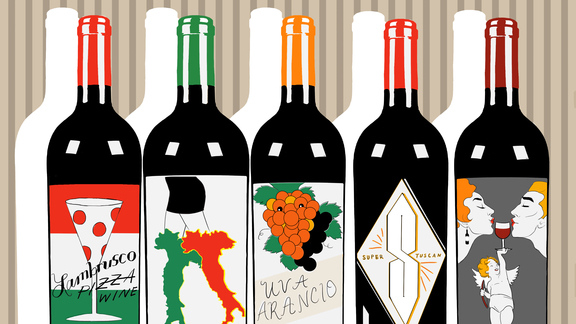 Along with the decentralized state of Italy’s wine identity comes a lack of cache. It’s something Greeson laments when discussing his and his fellow buyers’ tendencies to rest on their laurels when only buying wines based on reputation and familiarity. Mollo echoes this point; the same rural location that has preserved the unique production methods of many of the estates he works with also make it nearly impossible for buyers to relate to the wines, especially when they’re contrasted by the rote familiarity with regions like Chianti and wines like Amarone. Nonetheless, it’s impossible to ignore the eddies of influence being felt behind Mollo in the market today. In August of 2013, a mere five months after their radio debut, The New York Times ranked Lamoresca’s Sicilia Rosso as the number one wine in a lineup that included the island’s most longstanding champions. Del Posto has since picked up another SelectioNaturel producer, Rabasco, a female winemaker from Abruzzo, working magic with the oft-maligned trebbiano grape. Franny’s, June Wine Bar and Babbo Boston pour his bottle-fermented Lambruscos by the glass. (This year, the demand outran the supply.) As session beers, vermouth-based cocktails and Aperol spritzes take command of cutting-edge beverage programs, sommeliers and retail buyers are mirroring the low-octane trend and favoring dialed-back wines across the board. Mollo still seems uncertain of whether Italian wine will have a happy ending, ultimately pointing to a pandemic, “every man for himself” approach to national identity. “There’s this stubborn, fierce regionalism in Italy that’s really unique," he says. "The languages, the dialects, the food – it’s all so fiercely guarded. If it’s not done the way their moms did it, it’s not legit.” He worries that this might keep Italy from earning itself the kind of coalescent brand it needs in the global market. Maybe the point isn’t really Super Tuscans versus Lambruscos. What if it isn’t even about pointing at the future? Maybe Italy epitomizes the story of winemaking in general — its dynamism and unpredictable, occasionally fickle nature. After all, wine is made by, and for, human beings. Jeff Ruiz delves into the world of fine dining tea service — and how it carries over to a casual setting.